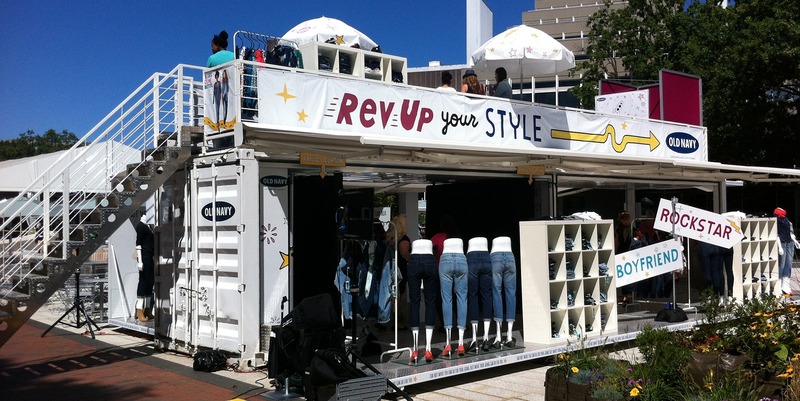 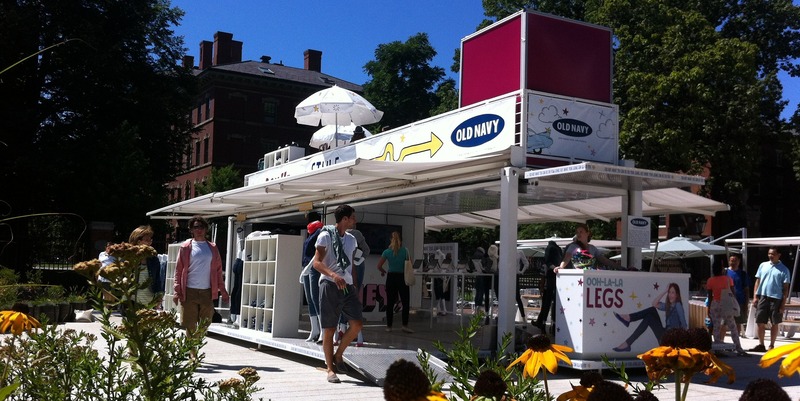 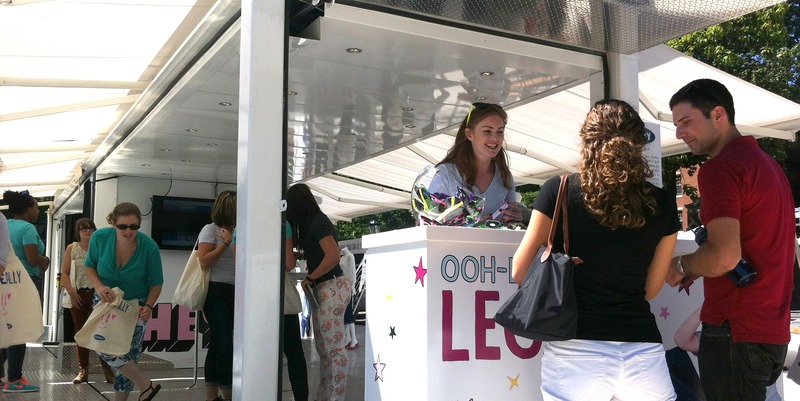 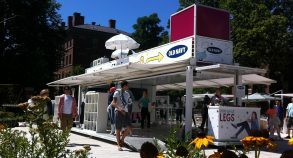 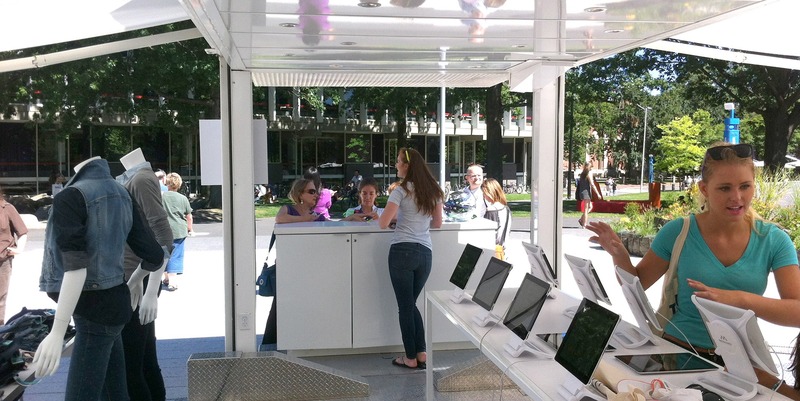 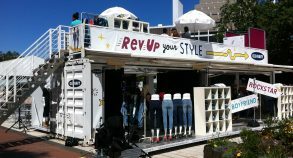 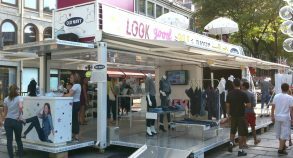 Steel Space Concepts created a touring capable retail marketing space to highlight Old Navy’s back to school marketing campaign. 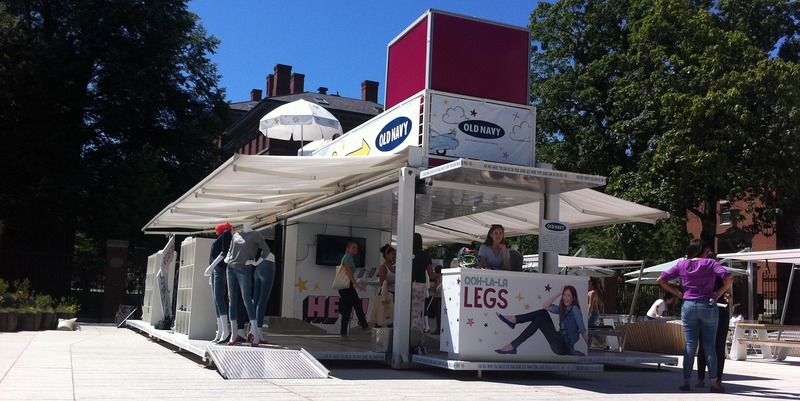 The SS40 traveled from Harvard University’s campus in Cambridge to the popular Faneuil Hall shopping destination in Boston. 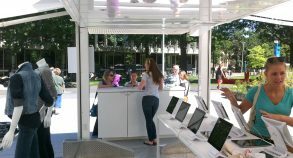 The SS40 was separated into multiple sections, which allowed customers to flow seamlessly from one point of activation to another. With features such as separating walls, integrated video marketing, WiFi, changing rooms for multiple customers, a cosmetics counter with personal make-up artist and the mezzanine level, we created optimum customer interaction. 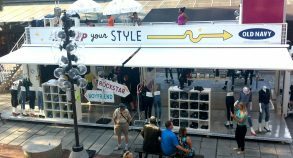 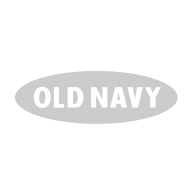 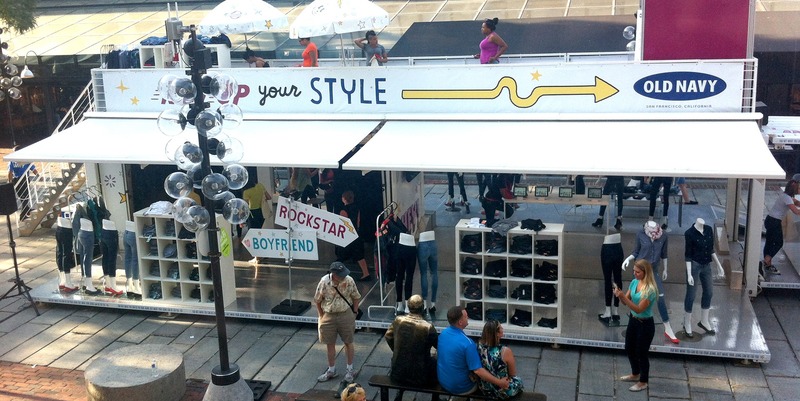 Old Navy was able to broadcast interviews with their customers about their new style on the second level of the SS40 through various social media platforms.